PIPO Tech has successively launched PiPO X8, X9, X10 models with different screen specs and different hardware configurations to meet different consumer demands since it launched the mini PC TV Box. And now, PIPO Tablet once again launched a new PiPO X12 mini tablet pc on August 15, 2017. PIPO X12 is an improved version of the previous PIPO X10 mini PC. This series of products all use a 10.8-inch large screen, with 1920 * 1280 pixels resolution. X12 is equipped with 4GB memory + 64GB solid state hard drive, adopts Intel Cherry Trail Z8350 quad core processor, which is featured with active thermal design, and pre-installed genuine Windows10 system. 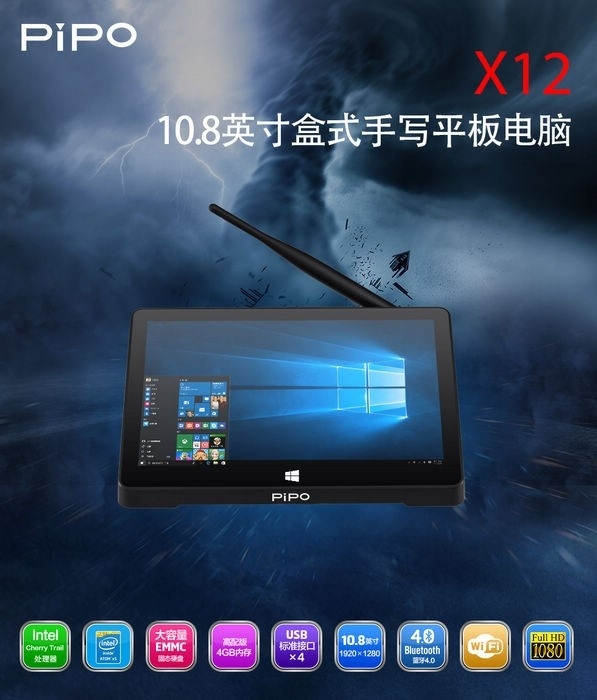 Because many companies and users purchase the PiPO X10 TV box Tablet PC as an office computer, printer computer, they hope that to add the stylus pen function on the X10 model. In view of it, our PIPO Factory launched a new Pipo X12 mini tablet, which adds the 1024 level pressure active capacitive pen function on the basis of X10. 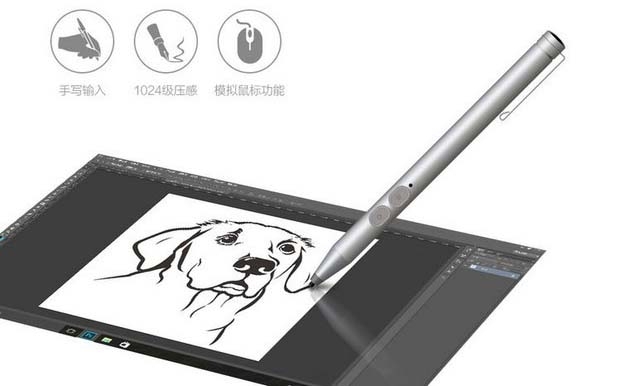 Except for the handwriting function, the active capacitive stylus can also simulate the mouse function, which greatly increase the operation convenience. In addition, this PiPo X12 mini PC TV Box also adds the RS232 interface, which is compatible with older printers, making it more competent as a print server computer. PiPO X12 TV Box will be on sale soon. When we get it in stock, we will release it on our website at the first time. People insterested can stay tuned for our later reports.